Michael Vitale MD MPH is the Ana Lucia Professor of Pediatric Orthopaedic Surgery at Columbia University Medical Center, he is also the Director of the Division of Pediatric Orthopaedic Surgery and the Chief of the Pediatric Spine and Scoliosis Service at Morgan Stanley Children’s Hospital of New York – Presbyterian. Dr. Michael G. Vitale is a New York Pediatric Spine Surgeon specializing in spine surgery as well as non-operative treatment of complex pediatric scoliosis and other spinal disorders. Dr. Vitale has a special interest in the treatment of patients with Early Onset Scoliosis. 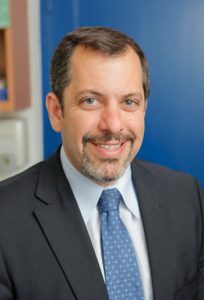 In addition, as a leader spine surgeon, he has pioneered numerous innovative surgical techniques, and has developed spinal instrumentation systems to improve the care of children with scoliosis. For additional information, please see Dr. Vitale's Bio. After finishing his residency in Orthopaedic Surgery at Columbia University, Dr. Vitale did a pediatric orthopaedic fellowship at the Children's Hospital of Los Angeles where he gained significant exposure to pediatric spine surgery. Returning to Columbia, Dr. Vitale was quickly promoted to Herbert Irving Assistant Professor of Orthopaedic Surgery and consequently was named the Ana Lucia Professor Orthopaedic Surgery. Dr. Michael Vitale currently leads the Pediatric Spine program, co-directs the Division of Pediatric Orthopaedics and is Vice Chair of the Department of Orthopaedic Surgery, serving as the Chief Quality Officer.